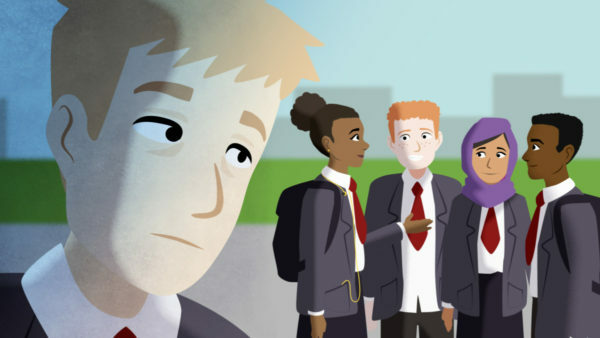 Secondary School Animation - "We All Have Mental Health" | Mair Perkins Ltd. 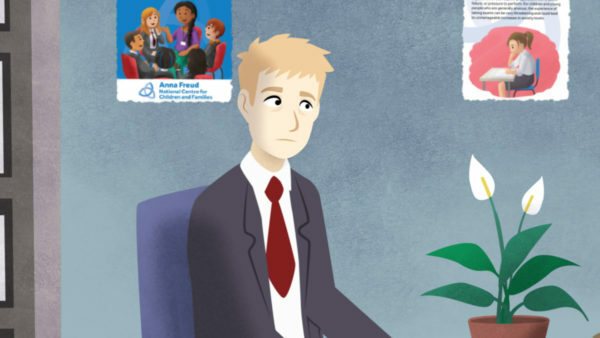 This animation about mental health was made with The Anna Freud National Centre for Children and Families. 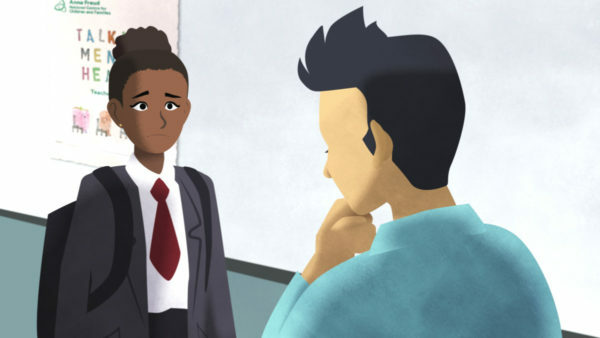 The short film was produced as part of teacher's toolkit to use in classes to raise awareness and encourage discussion about mental health among secondary school students aged 11 - 14. 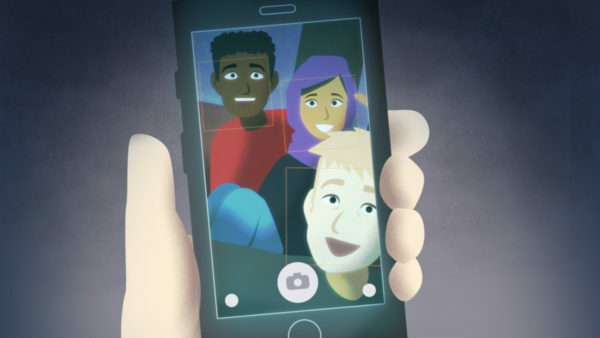 Young people were involved at the animation concept stage through school workshops and were able to review and feedback into each production stage of the project. 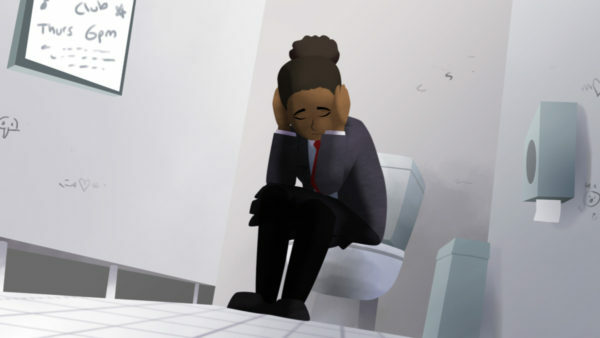 The animation was produced between late January 2018 and early July 2018. The pre-production planning phase was between January and April 2018. May to July was focused on producing the animation and sound track. 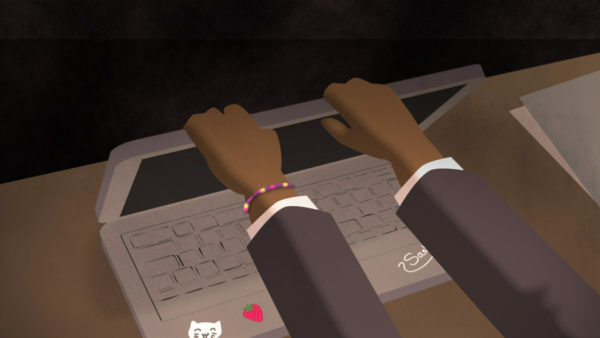 Scroll down to watch the animation and take a peek at the behind the scenes production process. 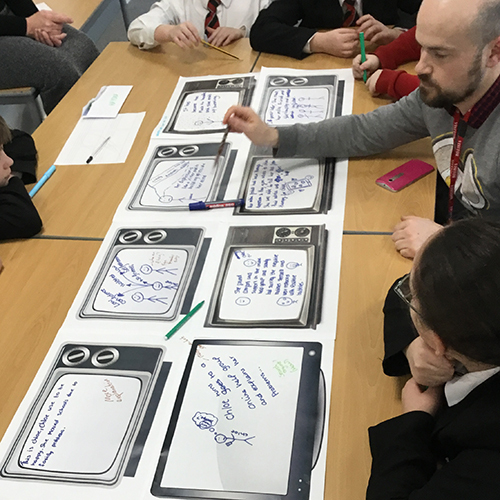 Workshop Participation: Year 7, 8 and 9 pupils at Heartlands High School, London and Crestwood Community School, Eastleigh and Jon Nagle, Deputy Headteacher and Alex Murray, Assistant Headteacher. 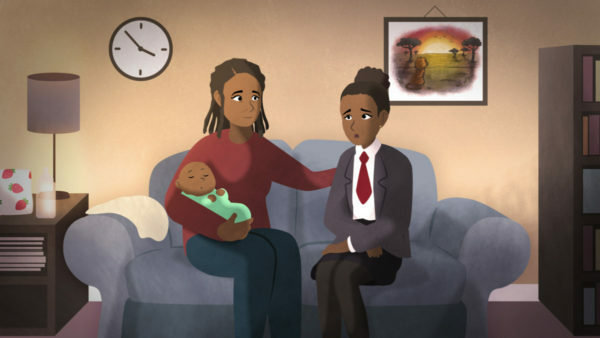 This animation about mental health was made with The Anna Freud National Centre for Children and Families. 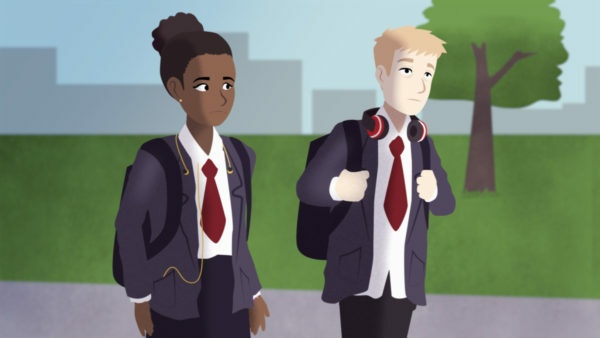 The short film was produced as part of teacher's toolkit to use in classes to raise awareness and encourage discussion about mental health among secondary school students aged 11 - 14. 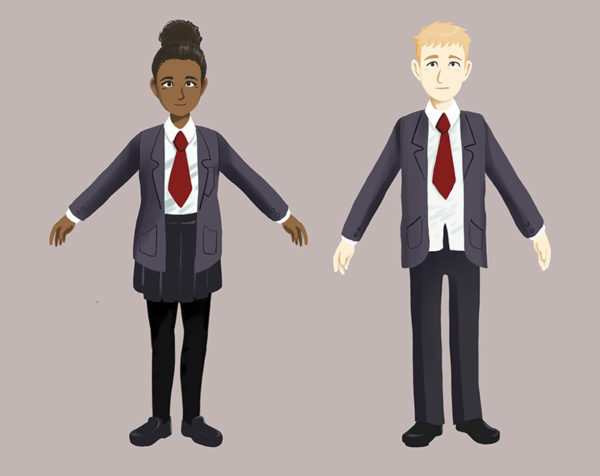 Young people were involved at the animation concept stage through school workshops and were able to review and feedback into each production stage of the project. 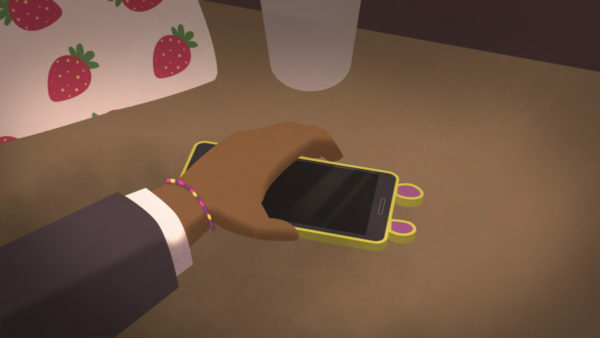 The animation was produced between late January 2018 and early July 2018. The pre-production planning phase was between January and April 2018. May to July was focused on producing the animation and sound track. 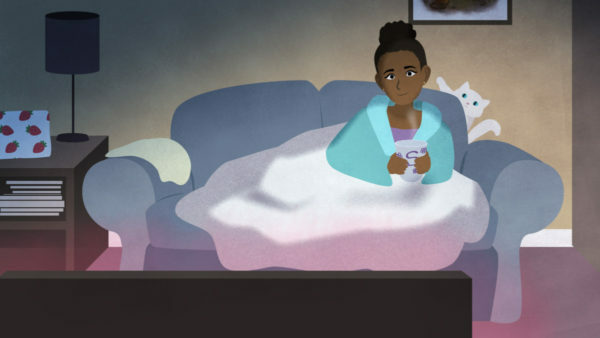 Scroll down to watch the animation and take a peek at the behind the scenes production process. 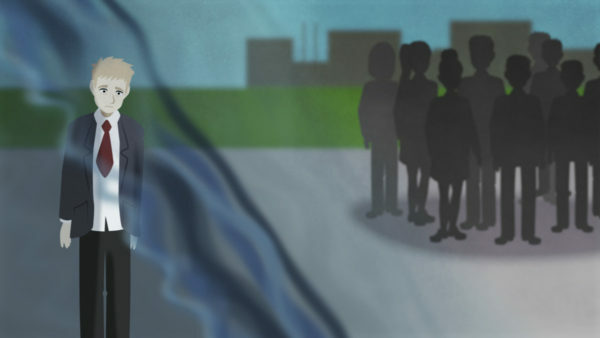 I've worked closely with Mair on several design and animation projects. Mair is hardworking, incredibly skilled, and very committed. 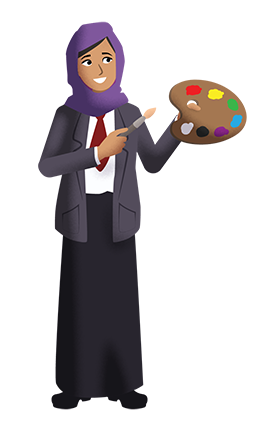 She's fantastic at working to timescales, at the same time allowing for flexibility which is sometimes necessary when working with several stakeholders. 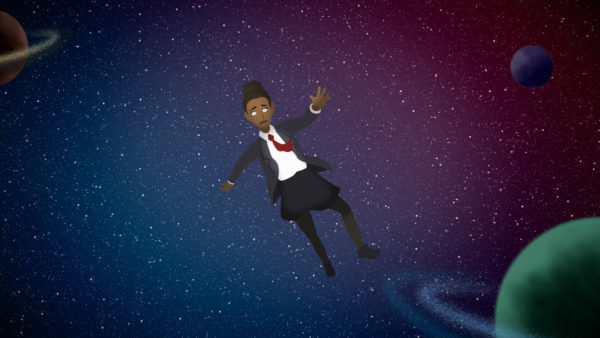 We've just finished working on a fantastic animation project for teachers and students over the last 9 months, and I'm so impressed with the quality of the final animation which Mair has produced. 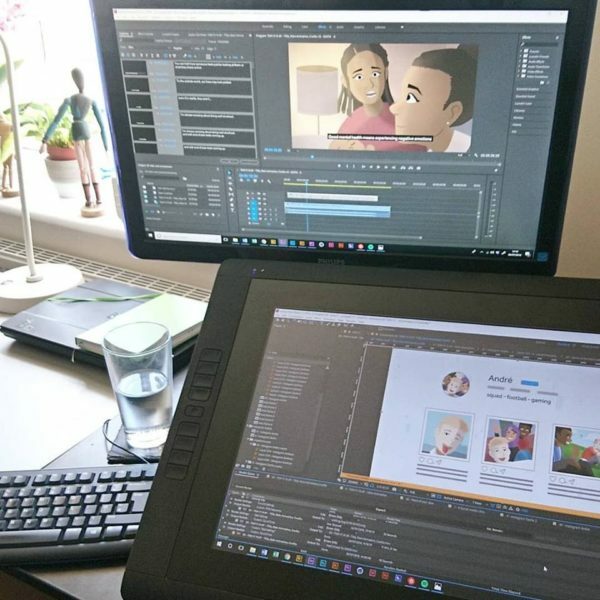 She helped to keep the whole process running smoothly, right from the planning to all of the illustration, concept, script and animation stages. I am sure we will work on lots of other projects in the future! 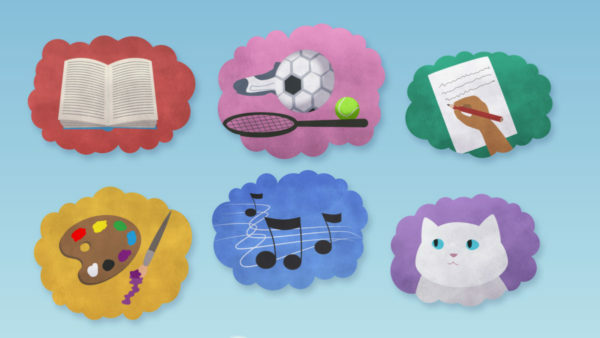 The Anna Freud Centre for Children and Families is the leading national charity supporting young minds through innovative therapeutic practice, training and research. 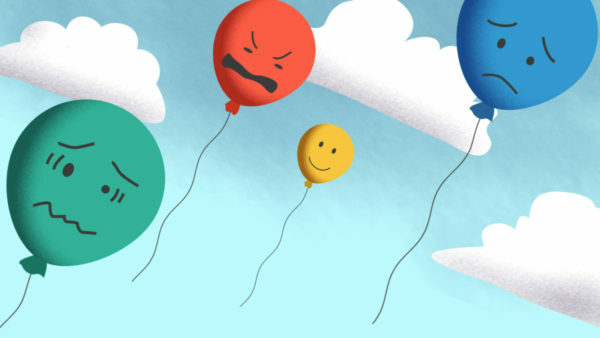 Their vision is a world in which children, young people and their families are effectively supported to build on their own strengths to achieve their goals in life. 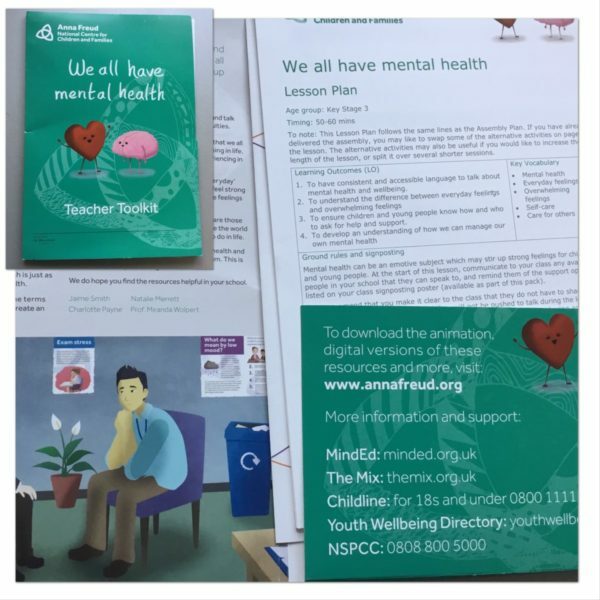 As part of their mental health advocacy work, The Anna Freud Centre creates many resources for schools to use. 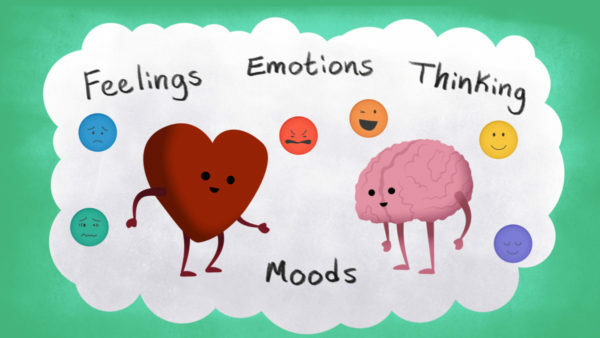 One of these was an an animation co produced with primary school children called Talking Mental Health. 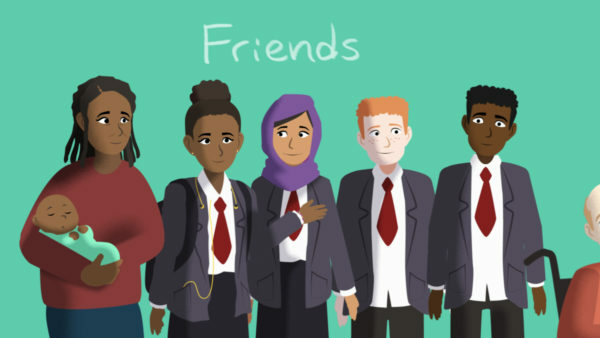 Following the success of the first animation, they wanted another video to help secondary school students begin conversations about mental health. Below are key points from the brief. 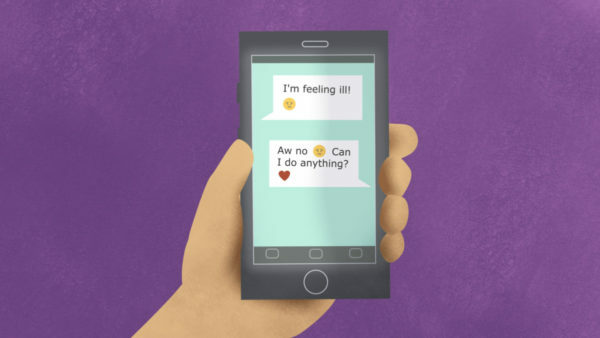 c. how to respond if peers talk to them about their own mental health issues. 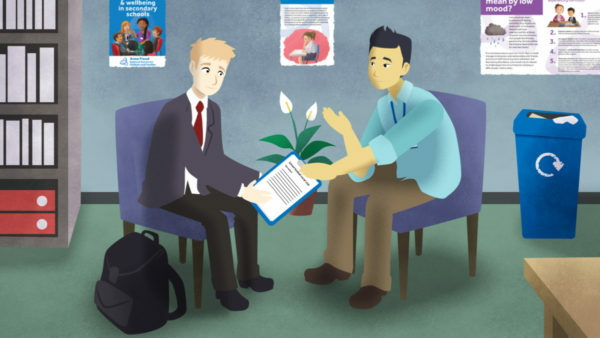 b. implying that the only solution is accessing a speciality mental health provider. 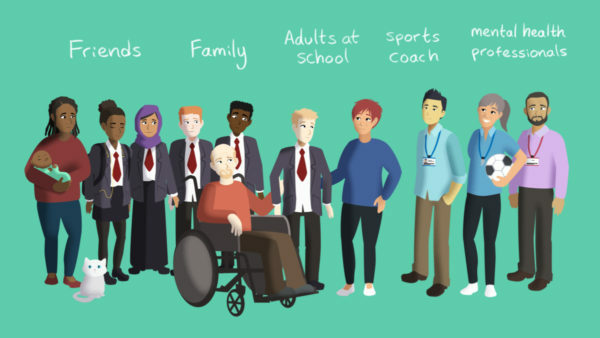 The approach we are adopting is to encourage young people to think about different ways to manage their mental health and to support others to do. 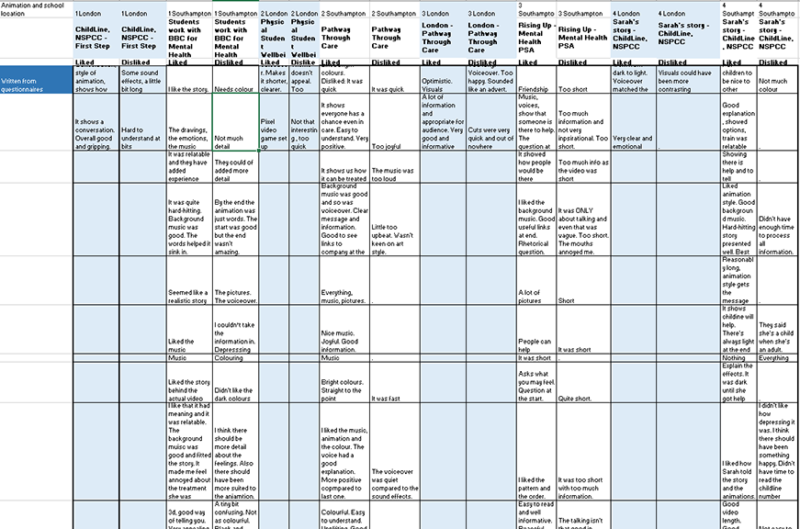 The first action after agreeing to work together was to create a timeline and production schedule. 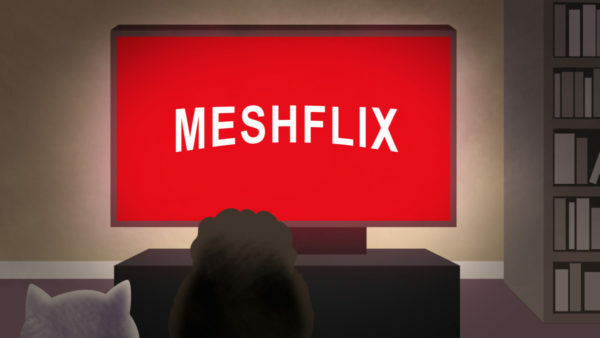 As the project involved several groups responsible for giving feedback throughout the production process, this was important so the project would stay on track. 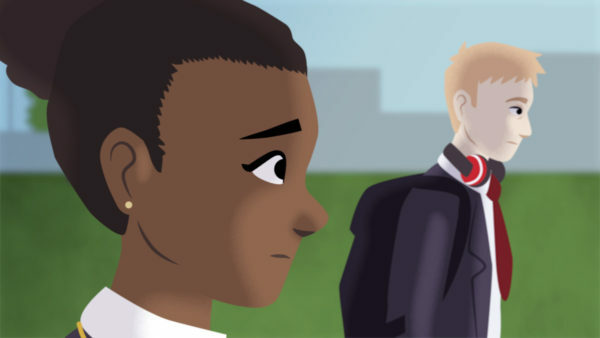 The initial briefings and timeline planning began in January 2018 and the animation was delivered as planned in July 2018. There were some delays in early March due to snow causing travel disruptions and school closures which pushed the workshops back by 3 weeks but we revised the schedule and managed to stay on track. We all agreed on the importance of including young people in the production of the video so it has their voices, ideas and will resonate with others their age. So the project kicked off with two separate, two day workshops in a London school and a school in Southampton. The groups were made up of a mix of year 7, 8 and 9 students. I suggested some animation related content to the workshops while the youth participation officer at Anna Freud coordinated the majority of the days. 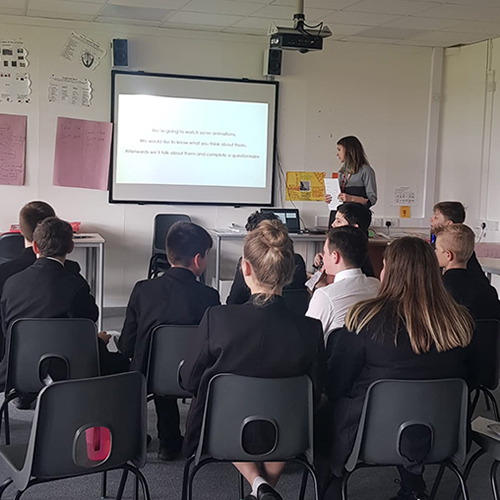 The first day of workshops was focused on discovering what the 11 – 14 year olds already knew about mental health. This consisted of games, group activities, mind mapping, drama and lots of post it notes. 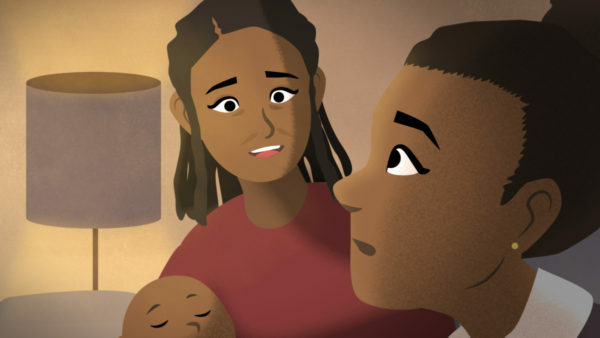 Discovering what the young people currently thought about mental health, helped inform what messages the animation should convey and the kind of language to use. 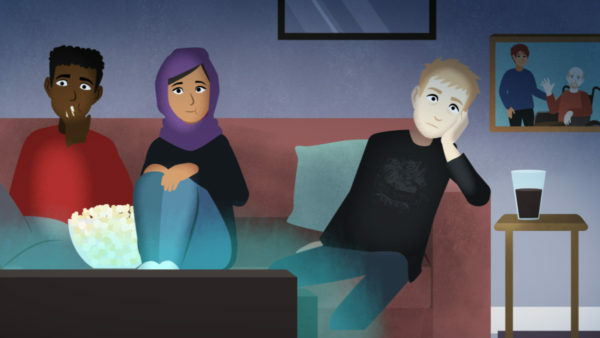 At the end of the first workshop day, we ran a cinema screening activity where we showed some existing short animations about mental health then gathered feedback with questionnaires and group conversations. This was helpful in understanding what story formats, art styles and sound tracks were liked or disliked by the students. The second workshop day focused on storytelling for animation. 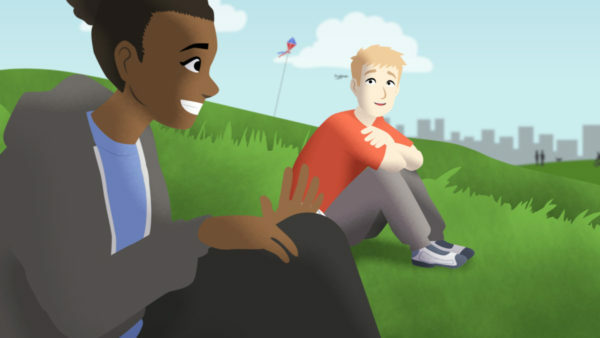 So we had several creative exercises to generate and capture students’ ideas for the animation. 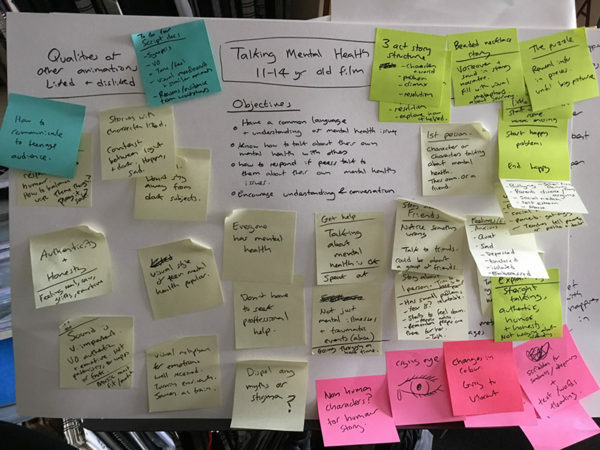 We had a drama based exercise where the students performed a scene where a young person has a mental health problem and seeks help. Then we gave them individual storyboard sheets to write or draw in. 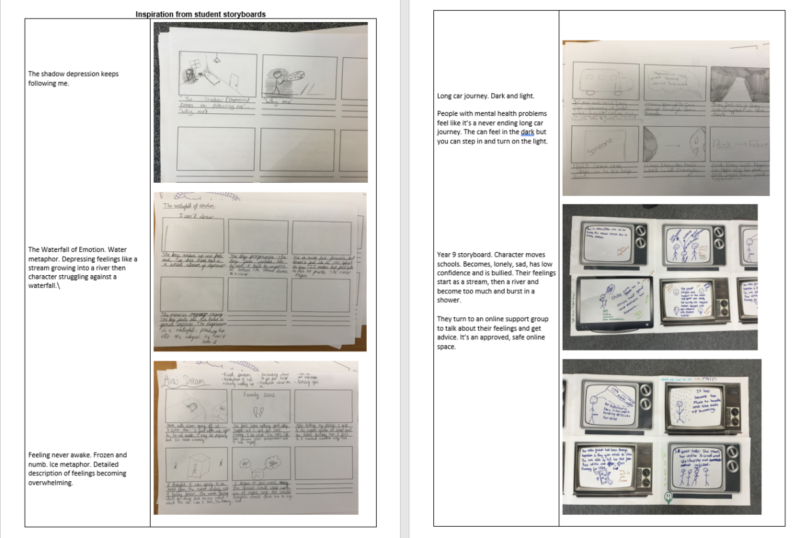 Then a group storyboard task where they combined their individual ideas into one story. 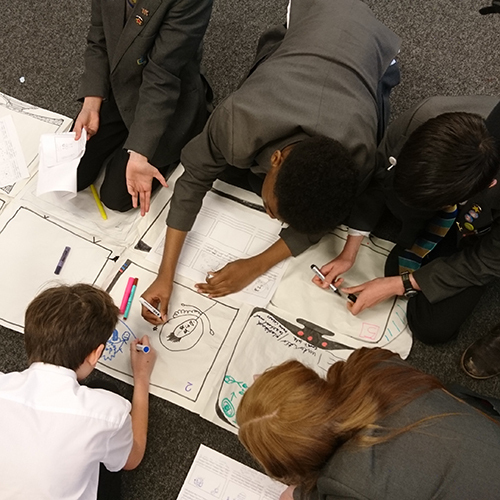 After the workshops, we analysed the questionnaire results and storyboards to find what story themes reoccurred and what animation approaches were popular. The questionnaire scores and comments were entered into a spread sheet to give each animation a point score and see what aspect of each animation was liked and disliked. 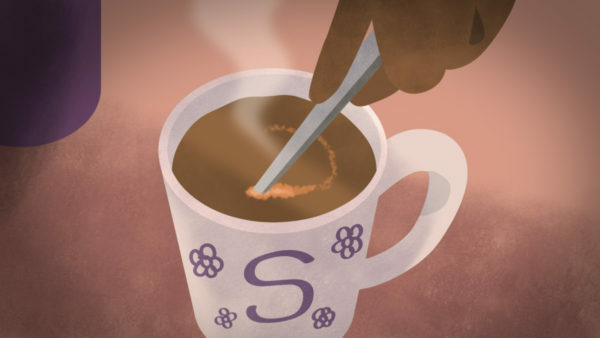 These insights helped inform the approaches to take in the initial story concepts. 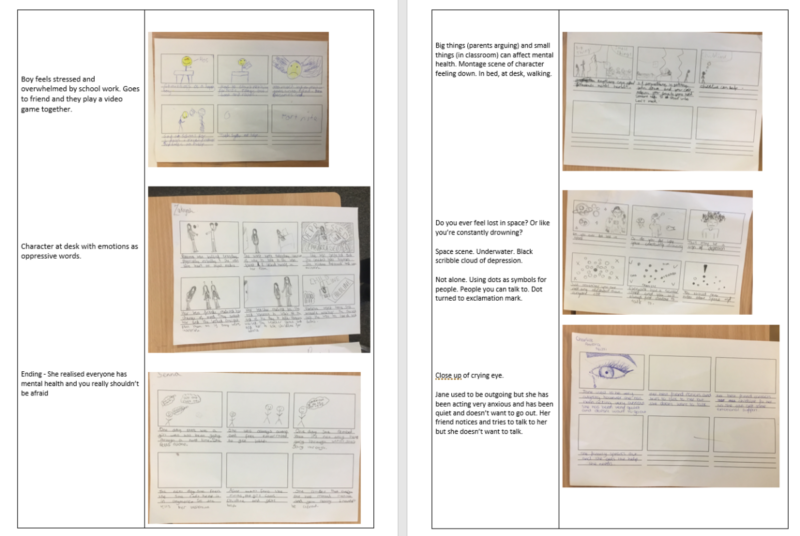 We also collected all the storyboards and entered the story themes and features into a spreadsheet to analyse common story elements expressed in the student’s ideas. 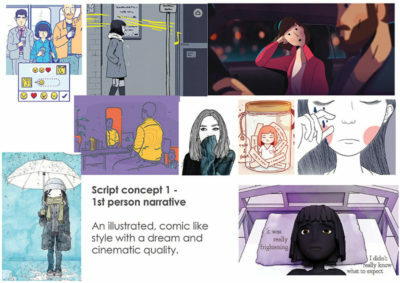 To ensure the young people’s ideas were carried into the final animation story, a document was created with storyboards and observational notes beside them so they could easily be referred back to throughout the production process. The next stage was to generate three different film concepts based on the project brief and workshop findings and young people’s ideas. 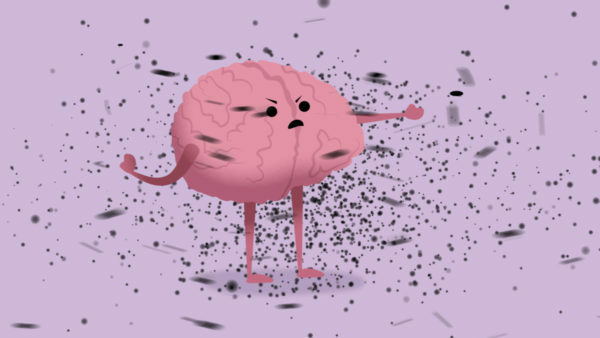 By developing three concepts, we were able to test more approaches to the brief. Ideas were noted on post it notes so they could be easily rearranged and viewed together. Then ideas were fleshed out in a typed document. 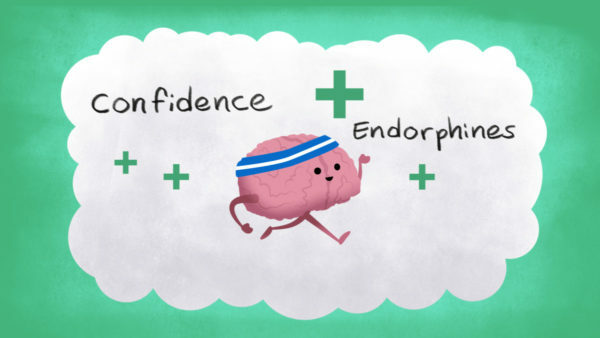 The Anna Freud team and I talked over these initial ideas then we moved onto the mood boards and script writing! 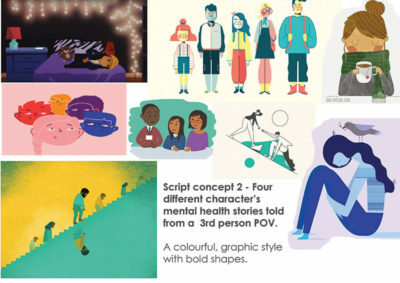 The mood boards accompany the scripts to help visualise the proposed animations. 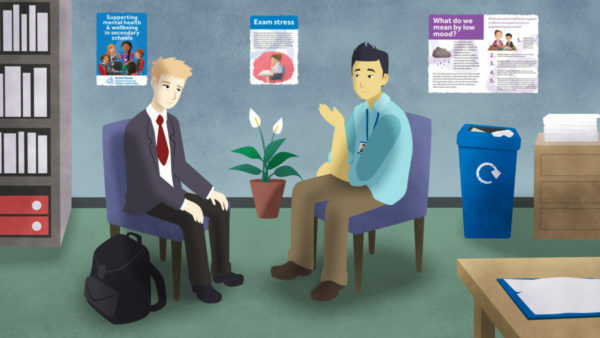 These are made up of stills from existing animations and images about mental health. Kristina and I worked on the three script concepts. 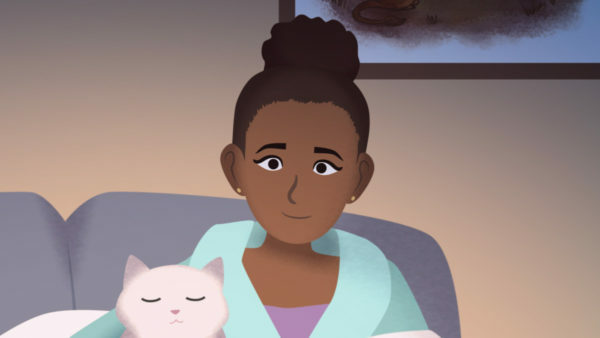 I wrote draft scripts and plot lines then shared them with Kristina to write up into full scripts of character dialogue and action descriptions. The Anna Freud team then reviewed them and shared feedback and more ideas. We repeated this process until three different stories were developed and ready to be sketched out. 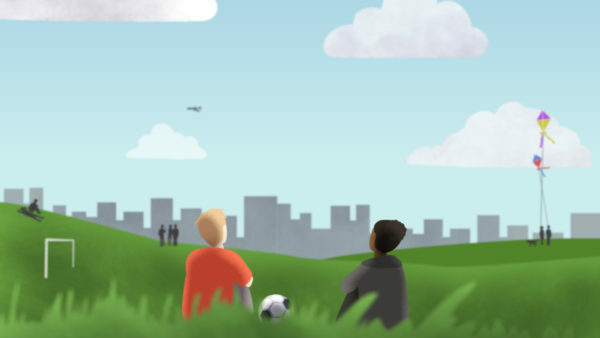 Of the three concepts we developed two of them into sketched storyboards and animatics. These were sent for review and the feedback was to combine elements of both. 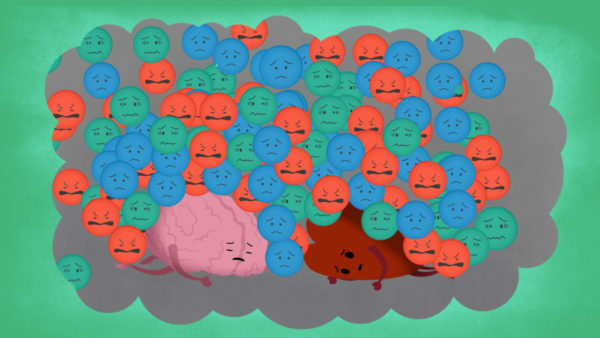 To do this we reduced the main character storylines in concept 2 to just Andre and Sasha then used elements from concept 3, such as the brain and heart, to help explain more abstract scenes about mental health. 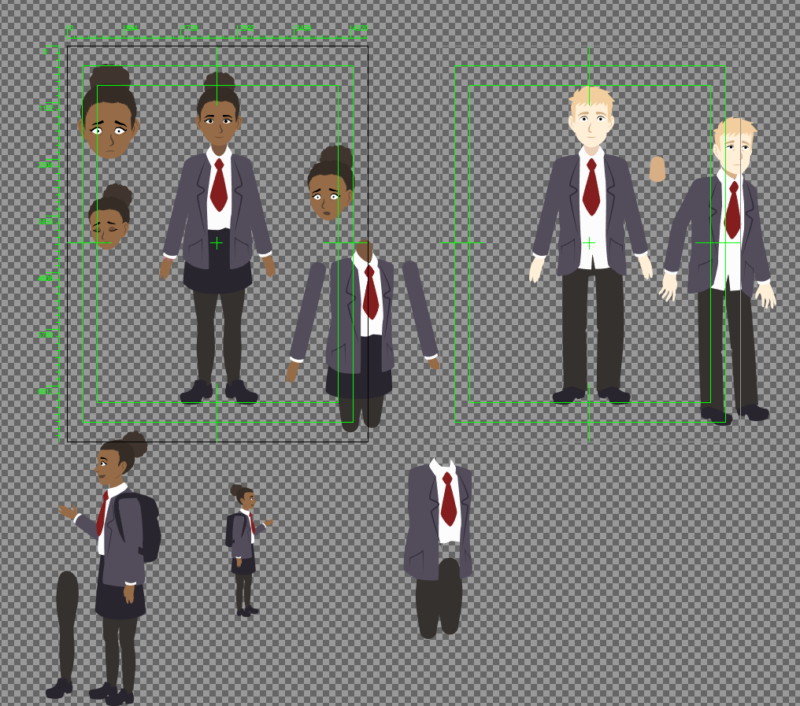 Alongside the sketched storyboards, I designed the main characters. 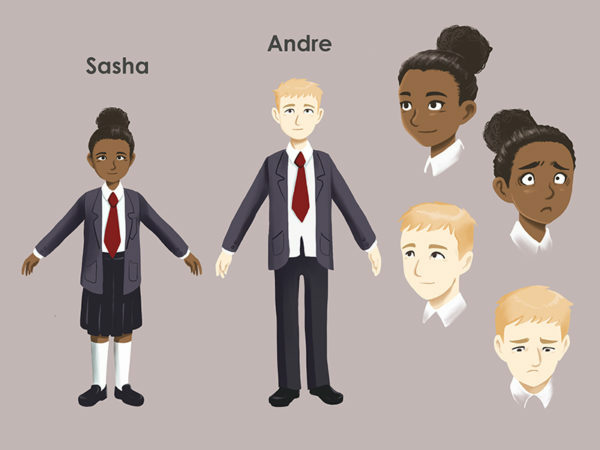 These designs were shown to the Anna Freud team and the students from the London school workshop who had comments and suggestions. I incorporated their feedback into the second design below. 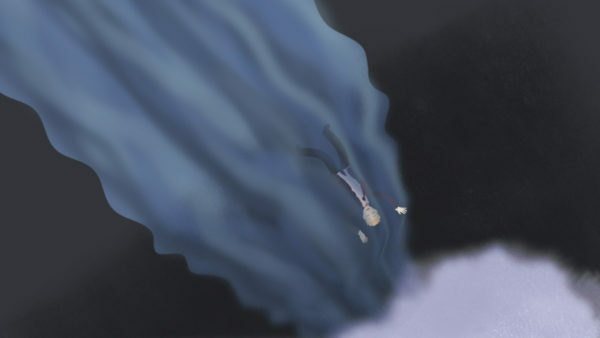 When the sketched animatic and storyboards were signed off, I began illustrating them. I used Adobe Illustrator and a Wacom Cintiq pen to draw these. 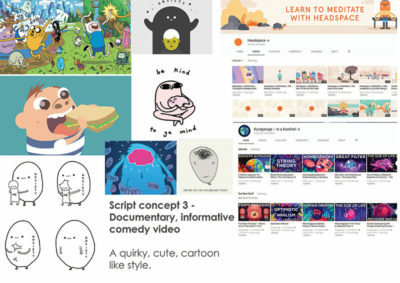 The storyboards were laid out and presented using Boords. 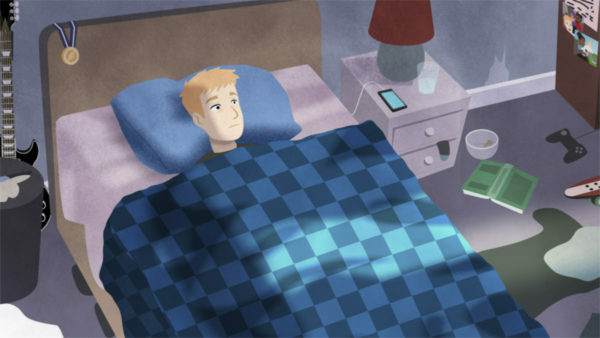 The illustrations were also used to update the animatic to create a “boardomatic”. 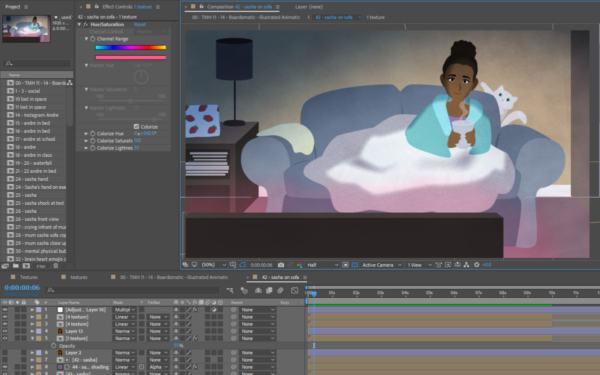 After a few illustration revisions, we signed off this stage and I began animating! 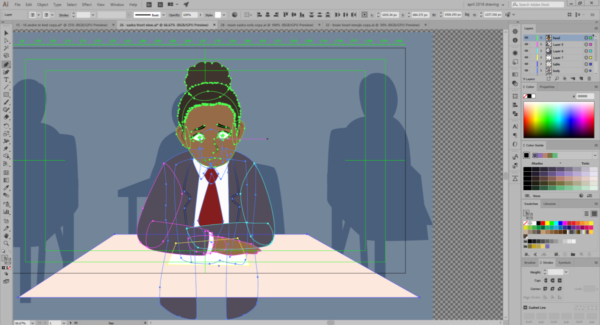 To start, I prepared the Adobe Illustrator artwork for animation in After Effects by separating the parts onto different layers. These were then imported into After Effects. 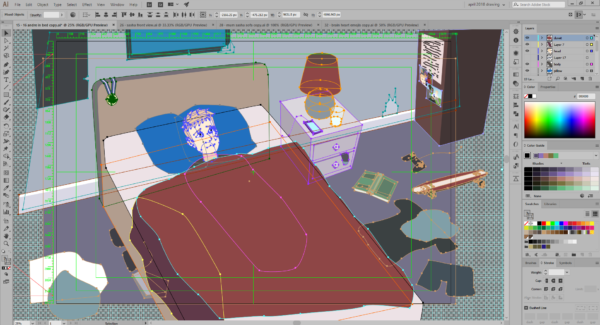 Some artwork was imported via (File> import) but for artwork layers that required more edit-ability, I used Overlord. 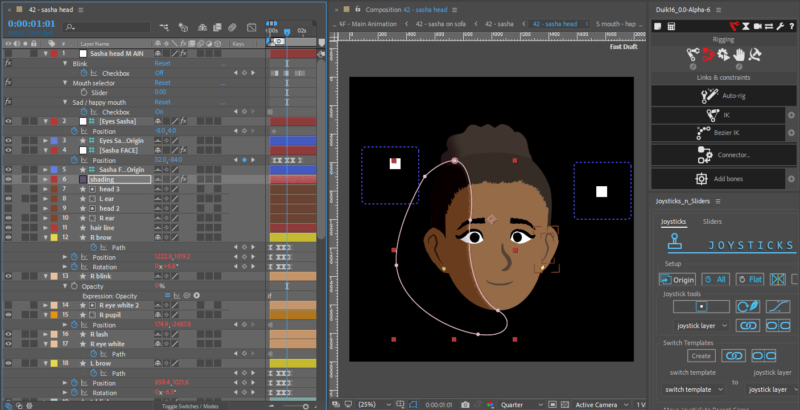 I used a combination of the plugins Duik and Joysticks n Sliders for character rigging. 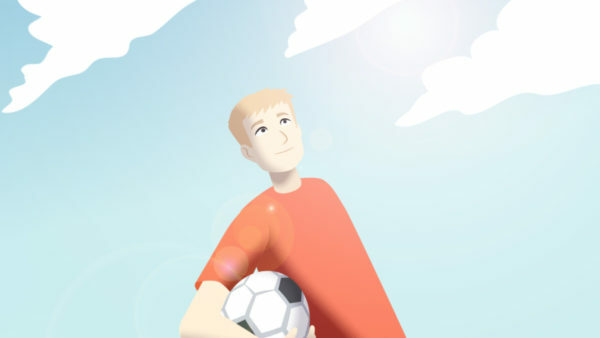 The textures, shading and lighting were applied to the Illustrator artwork within After Effects. Masks and mattes were primarily used for the shading. 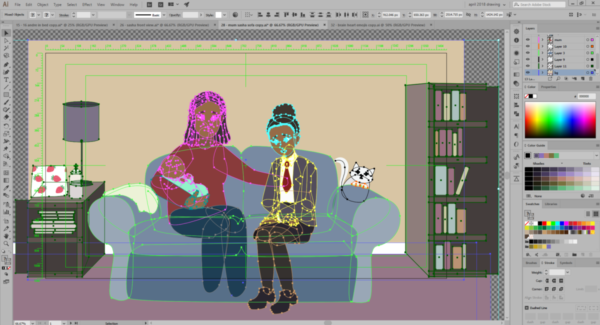 Once the characters were rigged, the backgrounds imported and the texture / shading applied, I began animating by setting key frames to properties of layers, effects and shape / mask paths. 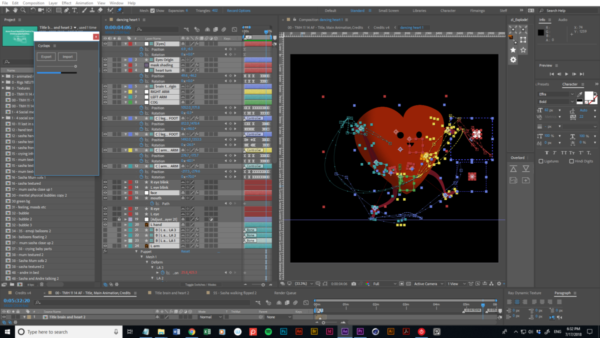 Here’s some of the rigs in After Effects with their controllers and motion paths visible. 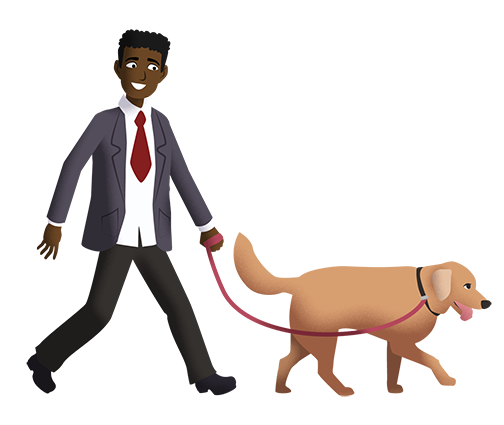 The key frames for the motion are in the timeline panels. 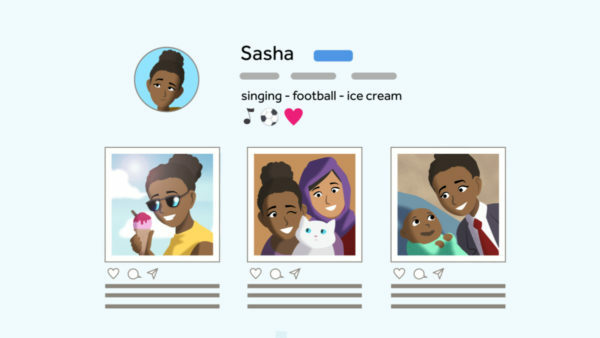 Some of the behind the scenes production work on my social media. 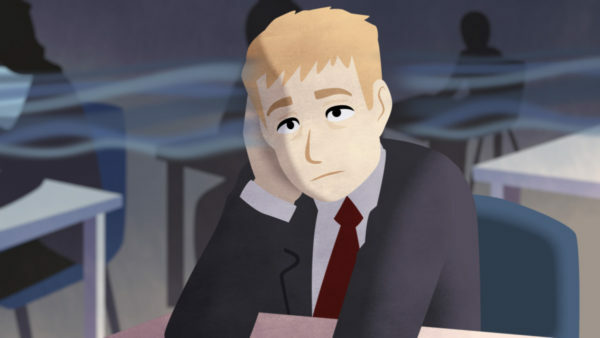 Once the animation was produced, it was sent for review by the Anna Freud’s team. Then the final revisions were made. 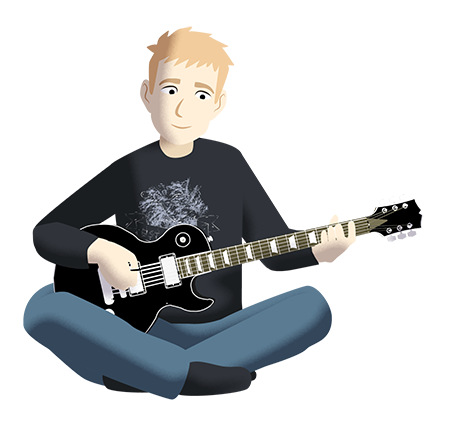 While I was creating the animation, Ben Haynes of Haynes Music Production was coordinating the voice over recordings, composing the original music score and working on the sound design. 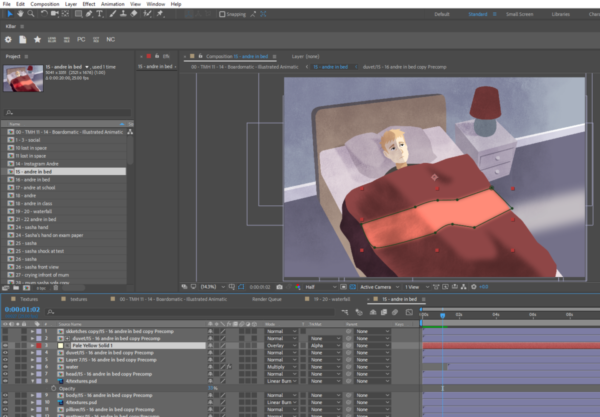 The final edits and sound were applied to the animation in Adobe Premiere. Subtitles were also added in Adobe Premiere. 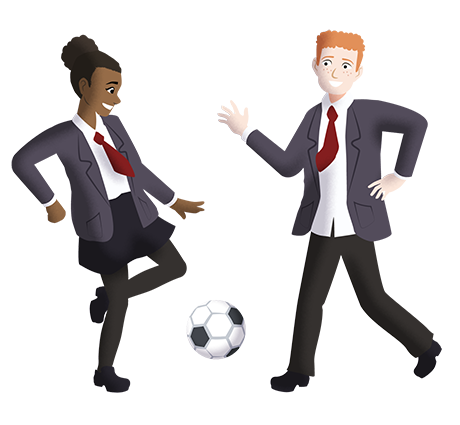 These illustrations were created for the teacher’s toolkit resource pack that accompany the animation. 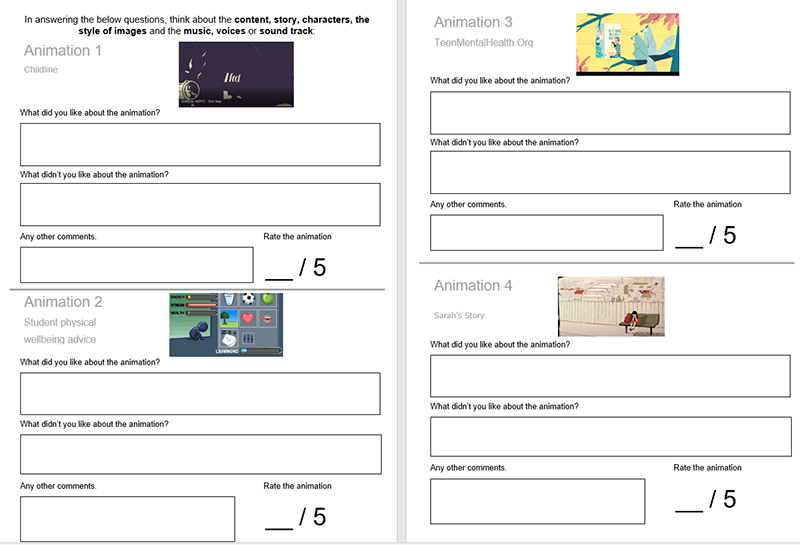 The teacher’s toolkit is an information pack with lesson plans. It’s available in print form and as a digital download. 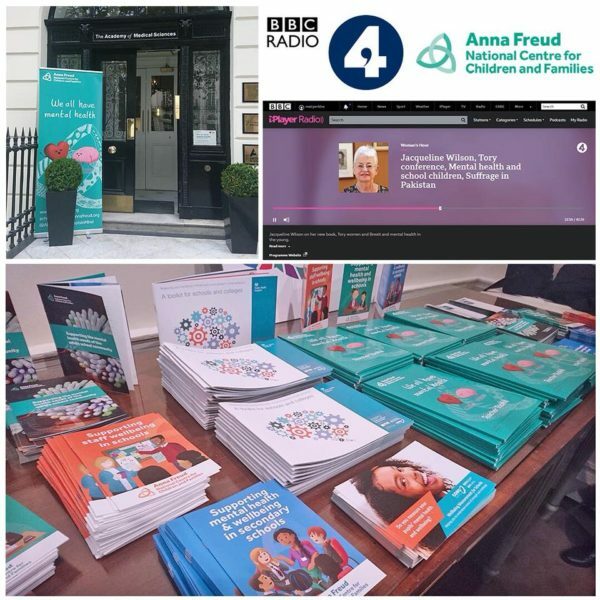 For the launch, we produced this small animated GIF for the Anna Freud team to use on their website and social media. 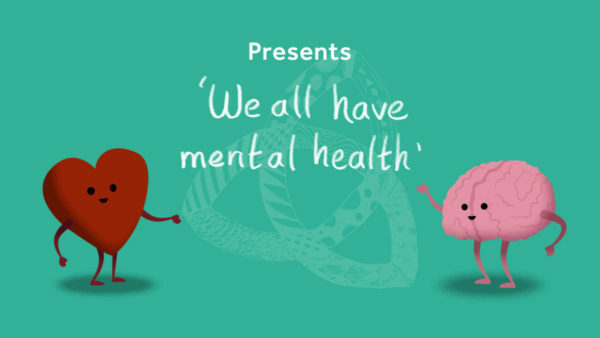 The brain and heart characters have become the mascots for the “We all have mental health” campaign and feature on the toolkit and printed banners for events. 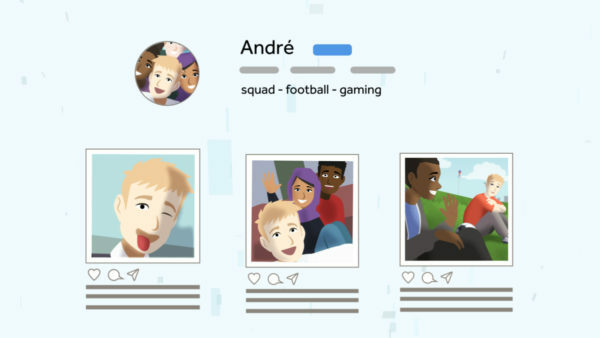 The animation was launched in October 2018 at a press event and an event for educators. 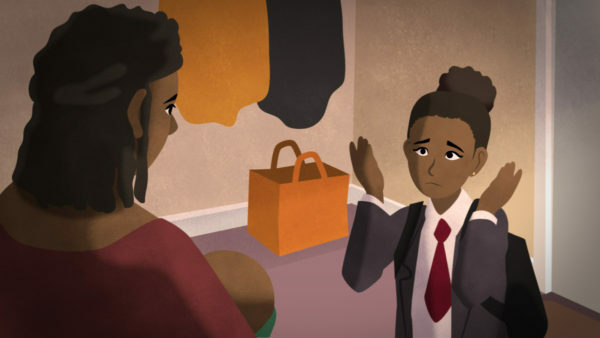 A clip from the animation aired on Radio 4’s Woman’s Hour during an interview with the Programme Director of Anna Freud. 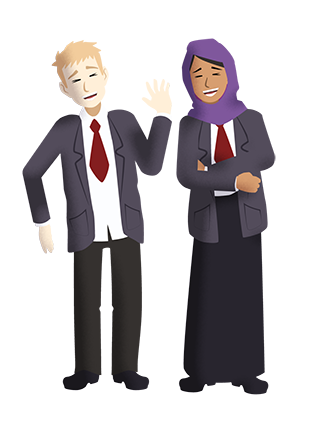 The teacher’s toolkit was sent to every secondary school in England and shared across social media. 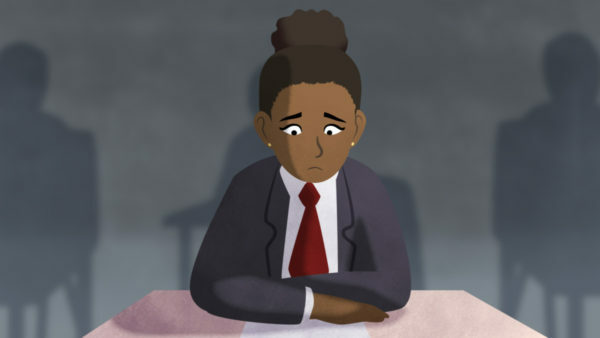 On World Mental Health day, many schools reporting using the teaching resources and animation to run sessions on mental health. 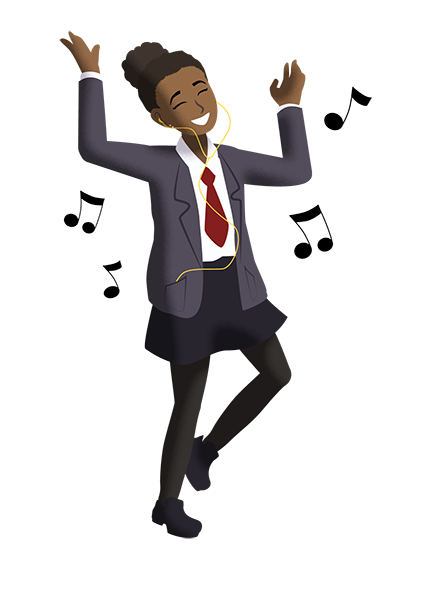 There was an overwhelmingly positive feedback on the animation and toolkit! 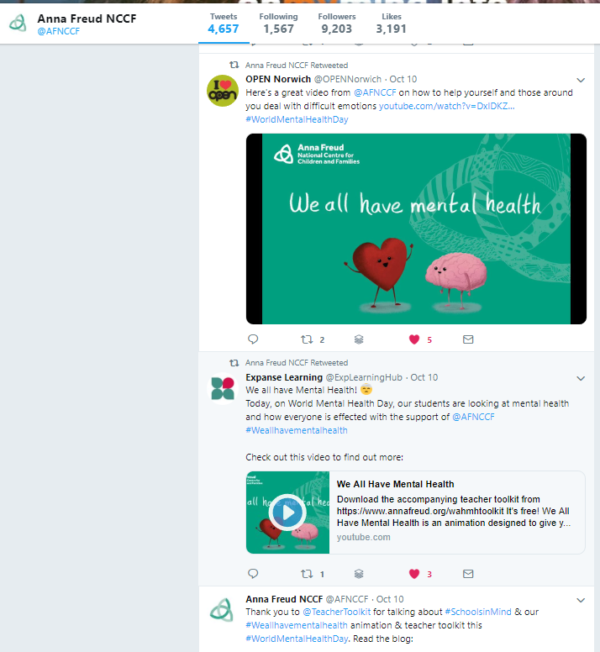 We hope that it is a useful tool in raising awareness for and giving practical advice on mental health.